As the end of Ramadan approaches, Muslims world wide prepare for the festival of Eid-ul-Fitr (Festival of Fast-Breaking). 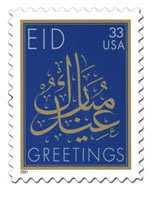 After a month of fasting, spiritual cleansing, and charity, Muslims will celebrate Eid-ul-Fitr on September 20th. During this festival, families get together, share meals, wear new clothes, and exchange gifts to commemorate the occasion. In the spirit of Ramadan where charity and compassion are revered, consider giving Good Cards when exchanging gifts. Good Cards work like a gift card except the recipient of the card can give to a charity of their choice.